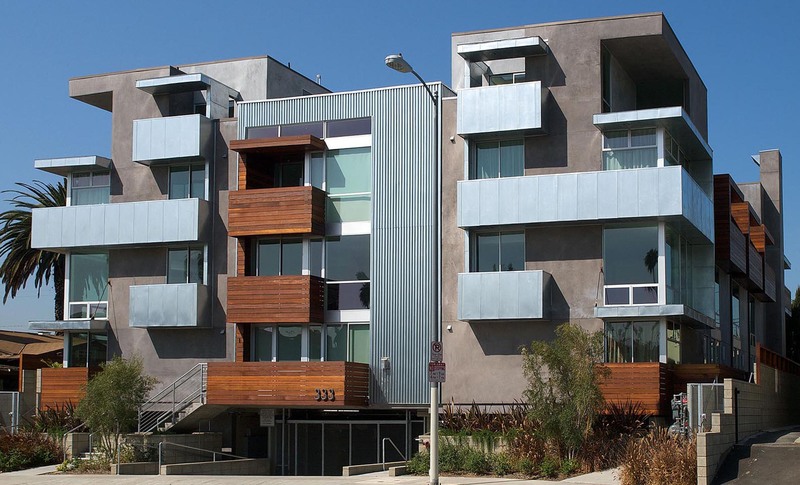 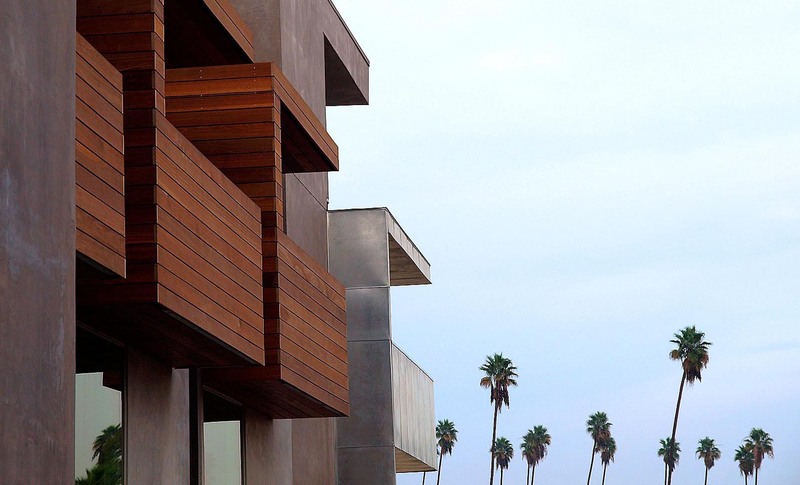 Completed in the fall of 2008, 333 Wilton is a 12-unit, loft style condominium building in the Hancock Park area of Los Angeles. 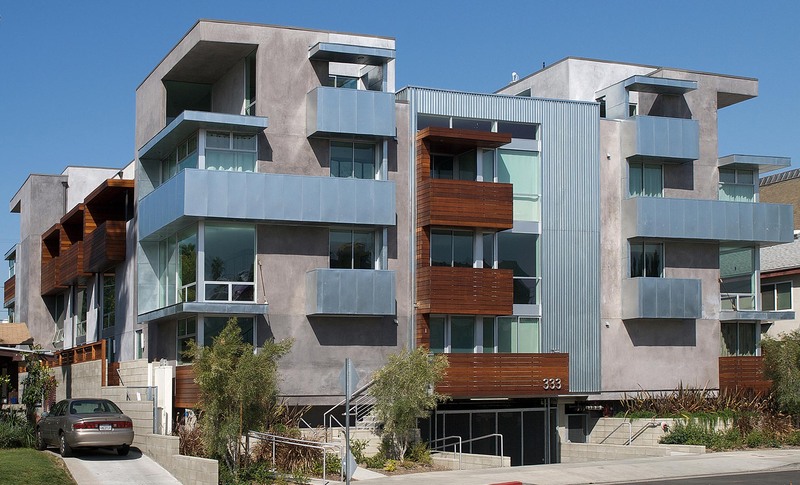 Dramatic four-level units in each corner anchor the building and create a stunning street front. 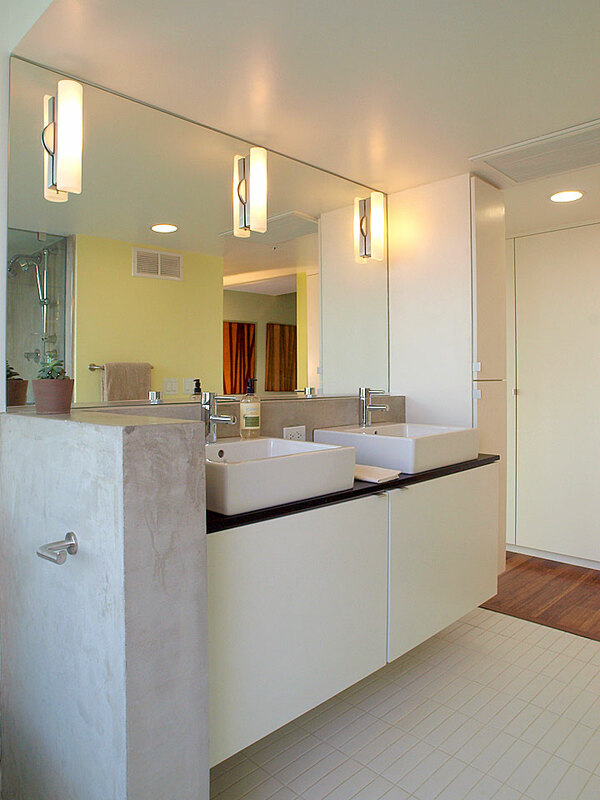 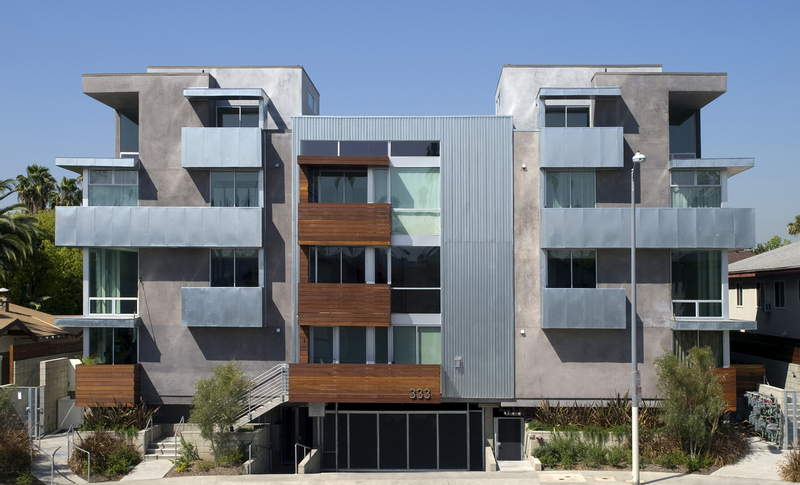 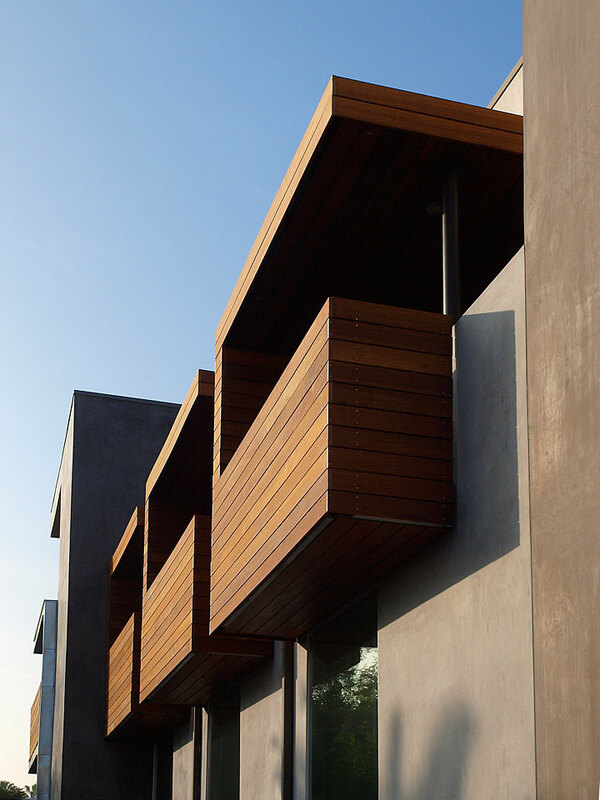 333 Wilton provides increased urban density and boasts other green features such as the foundation made form fly-ash concrete, solar hot water, Water Sense water saving faucets, formaldehyde-free cabinets, no-VOC paints, polished concrete floors, and Energy Star appliances. 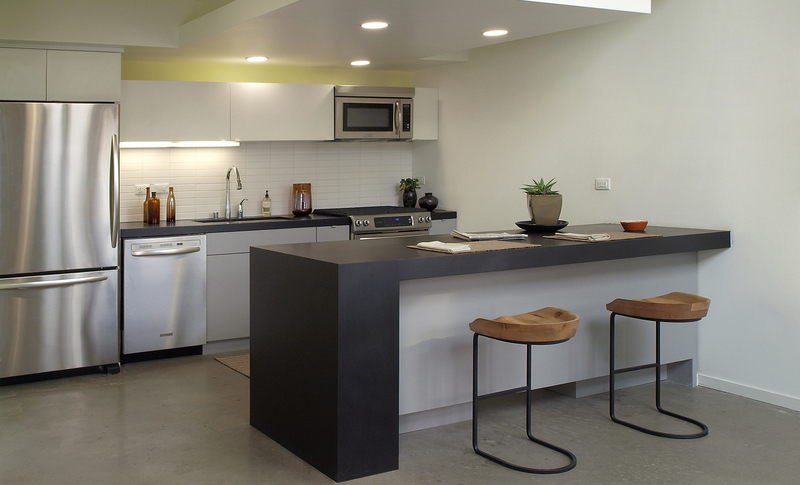 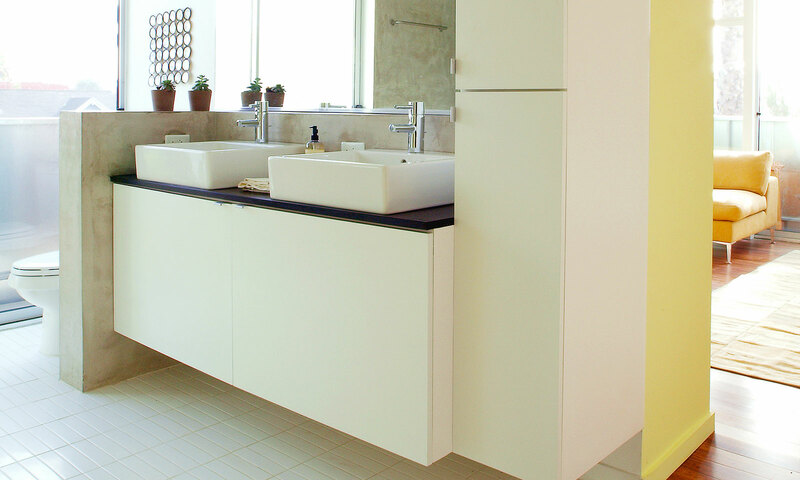 The kitchen counters are made from EcoTop; creating a statement that is modern as well as environmentally friendly (a recycled fiber and bamboo blend bound with a 100% water-based system). 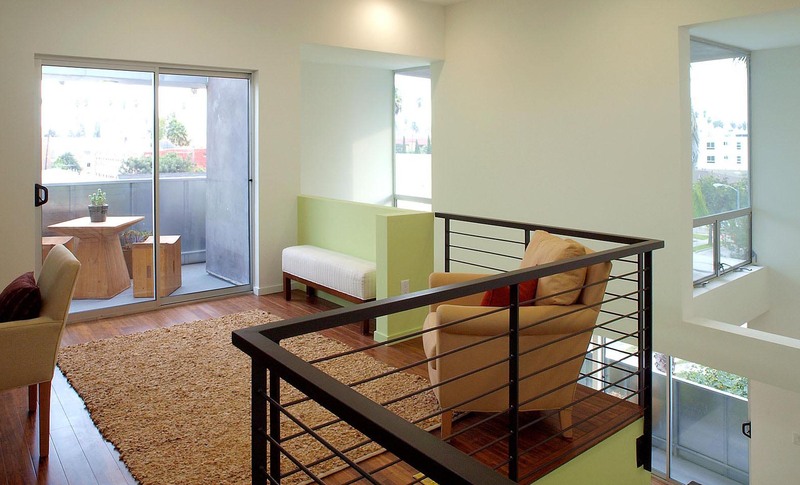 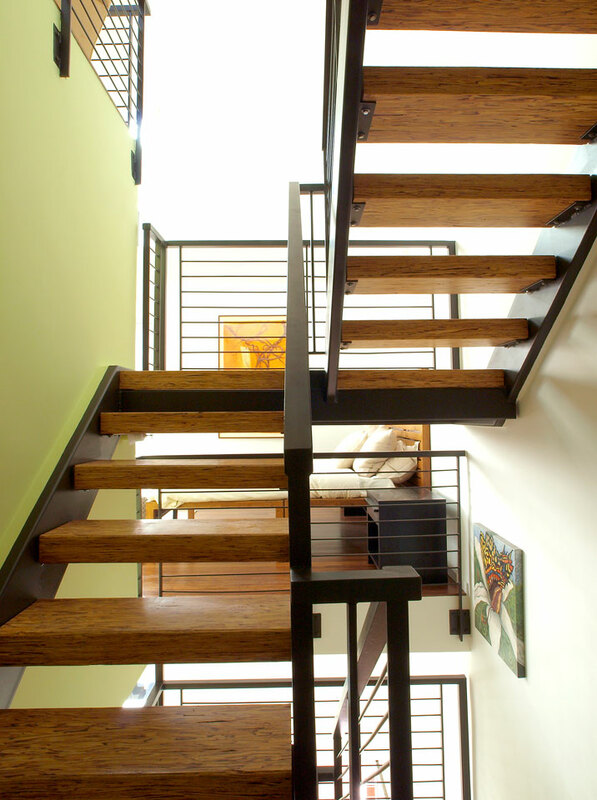 Open stair cases with metal railings are mixed with clean, simple materials to create an up-scale loft feel. 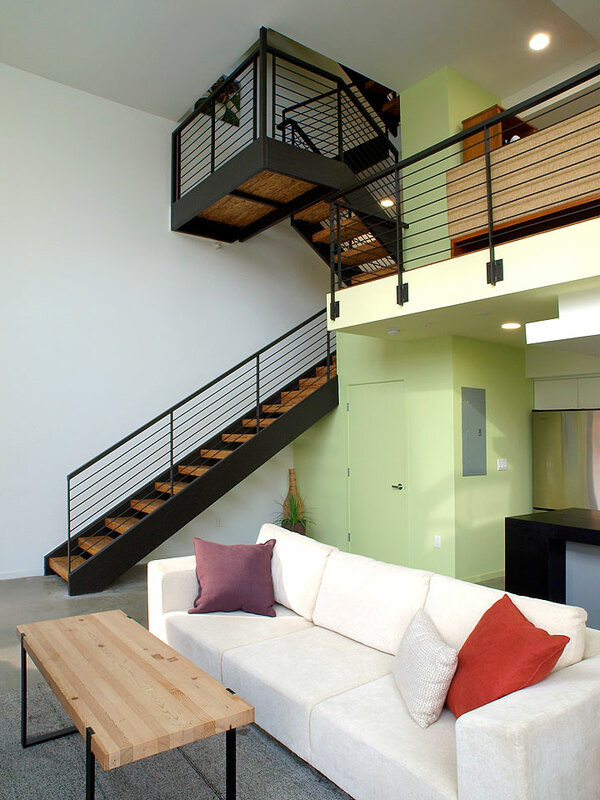 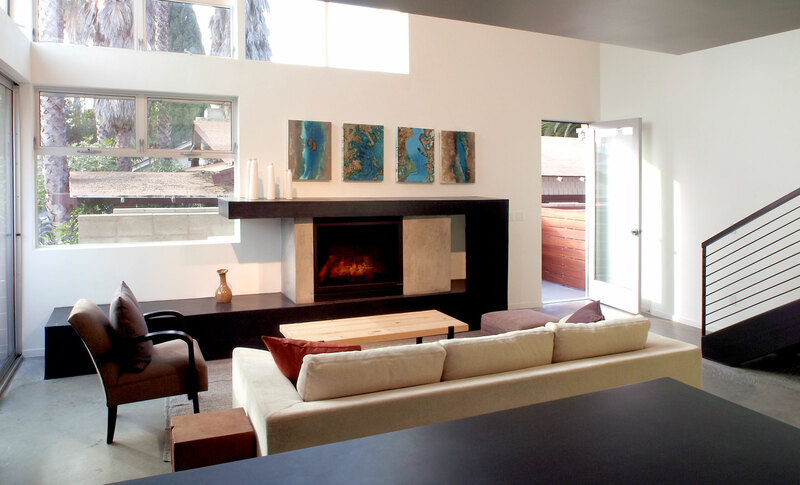 A mezzanine level projects over the galley kitchen which opens to the main living space.